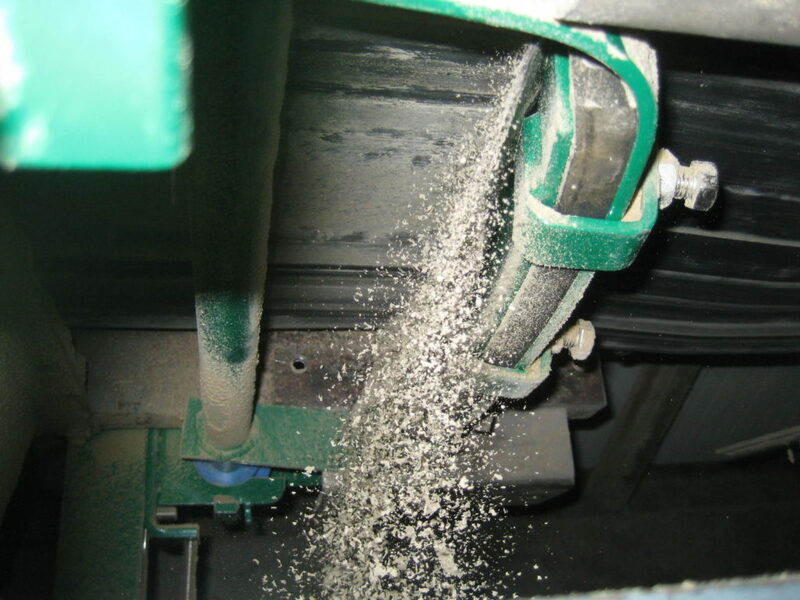 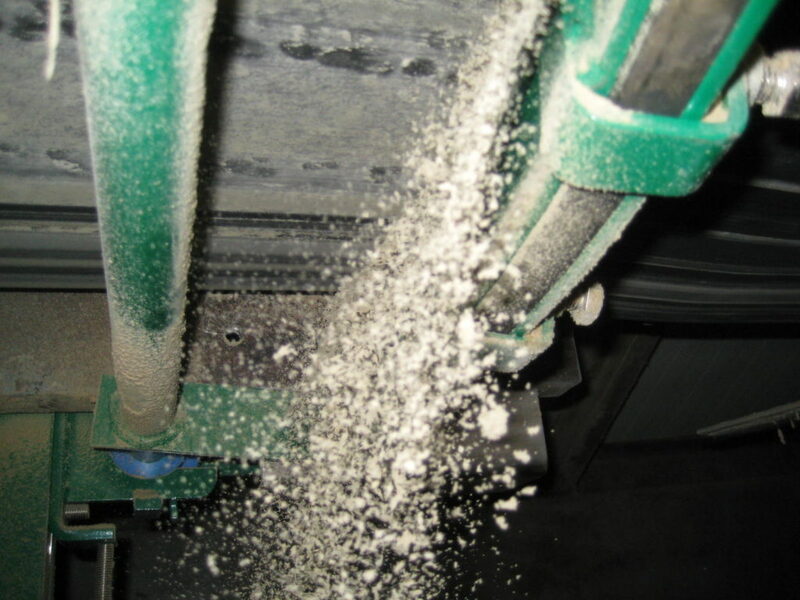 Our animal feeds client in Belgium had a problem with material spillage. 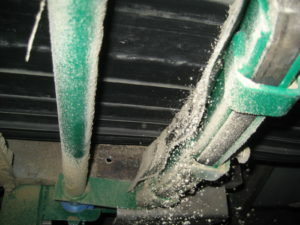 An overhead conveyor was spilling animal feed onto the walkway below. 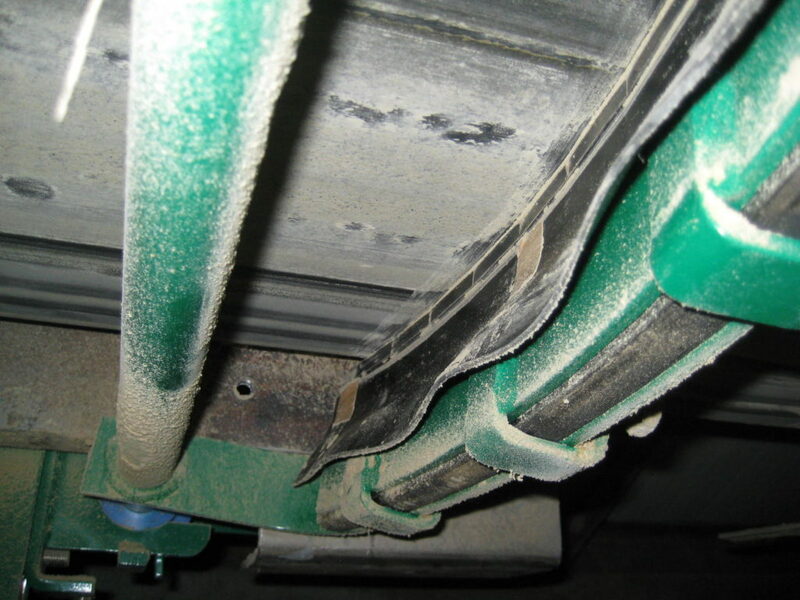 Aside from the material loss, the spilled product on the footbridge was a safety and hygiene hazard. We installed a Belle Banne U50 Light belt cleaner on the conveyor system to ensure there was no debris on the underside of the belt which could then fall onto the walkway below. Our customer was very pleased with the result.